. :: Products & Services ::. Rice is primarily classified according to its kernel form and grain shape. However, within the grain shape categories there are differences in cooking qualities. 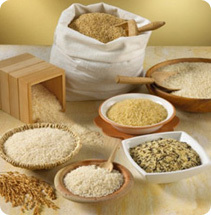 The various grain shape and specialty rice categories are based on the product and its preparation. CROWN RICE is using latest tools for the processing of the quality rice.